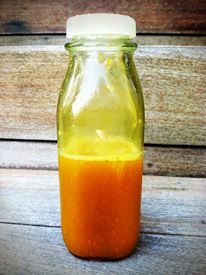 How To Make Turmeric Juice: A Powerful Healing Beverage. Crack and open tamarind. Make sure you get all the inner roots off, too. We’re only going to use the inner fruit. Fill a big pot with water, put peeled tumeric in and let it boil for at least 20 minutes until the water becomes a rich and vibrant marigold color. While the tumeric water is boiling, get a pan and pour 1 inch of water in with the peeled tamarind. Move the fruit around with a wooden utensil, mix it in with the water so it can melt and dissolve into a jam like texture. More water shouldn’t be needed, but if it’s lookin’ a bit dry, pour water in as needed. Go back to the tumeric water. By now, the color should look ready. Pour a little bit of cold water to lower the temperature. Take the turmeric water and pour it into the blender with the tumeric. We boiled it so the root could soften and have more flavor, now it’s ready to buzz in the blender for even more flavor and richness! Blend, blend, blend. The color now should look like an extra extra fiery marigold. Go back to the tamarind in the pan. Pour substance into the strainer that is placed on top of a small bowl to catch the tamarind. Swish the jam like substance around in the strainer with the wooden utensil– we only want to use the soft bits of the fruit. No seeds, no seed peels. Pour the tamarind that has been caught in the bowl into the blender with the tumeric water. Buzz it around again. We’re almost done. Squeeze your lemons into the blender. Now take the blender and pour your yummy juice into your mason jar(s). Add honey to taste, close with lid, shake it up to mix. Store in fridge up to 3-4 days and drink daily! Constantly listless? Tired? Feeling your energy quickly being drained even before the day ends? Perhaps you, like many others, need energy boosting solutions. But rather than like the million others that often turn to coffee or energy drinks, you can resort to safer solutions like herbal remedies. 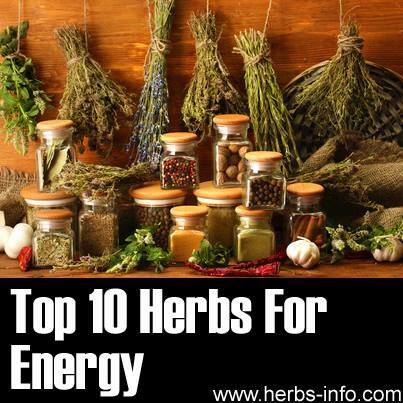 Besides, much of these costly energy boosters sold in the market today are based on existing botanical remedies. Moreover, kicking your energy with caffeine like coffee tends to strain your brain’s adrenal cortex by causing it to work harder than normal to boost energy. A 2010 study has also found caffeine-based energy beverages to be loaded with sugar and carbohydrates and are even erroneously marketed as reversing alcohol related impairments such as motor coordination and visual reaction time, providing consumers a false sense of control. Like ginseng, green tea is known for its many beneficial effects. Recent studies show that apart from being anti-cancer and helping you slim down, the antioxidants in green tea also prevent premature ageing to leave you with more energy. Like coffee, it may contain caffeine but unlike coffee, has potent anti-bacterial properties that combat infection. Also, if you take matcha, you benefit further from the nutritional content of the “solids” in the tea leaves. If you are feeling low and less energized during the day, then rhodiola can be of great help to you. Known as an excellent remedy for stress, rhodiola is believed to be effective in strengthening the body, and make it more resilient to physical and emotional challenges that lie ahead. In addition to its ability to improve exercise performance, rhodiola is also claimed to be effective in increasing one’s capacity for different types of endurance exercise. One research showed that rhodiola works by increasing the oxygen-carrying capacity of the red blood cell, which results to improved energy level, stamina and vitality especially in times of stress. Research revealed that this herb offers additional protection to the central nervous system of the body against oxidative stress. Furthermore, rhodiola is thought to help in relieving anxiety, improving sleep quality and quantity as well as in lifting depressed mood. It is also thought by some to be aphrodisiac. Known to boost the body’s immune system, reishi mushroom is a powerful herb that is claimed to be effective in enhancing one’s energy level. In addition to that, reishi mushroom is widely believed to be beneficial in promoting general well being. As always, this article is not medical advice. If you are on medications or have other health concerns, please consult a qualified health professional before starting a course in herbs. A Natural News investigation reveals that an alarmingly large number of multivitamins and individual nutrient vitamins are formulated with ingredients derived from genetically modified corn. This is the “dirty little secret” of the vitamin industry, but it’s not one the mainstream media will touch because they refuse to admit GMOs are a problem to begin with. Those in the know, however, realize that eating any ingredients derived from GMOs may expose them to the BT insecticide chemicals found in GM corn.GMOs are truly “hidden” in vitamins because the GM-derived ingredients are so heavily processed that all DNA is destroyed in the process, thereby destroying any footprint of genetic modification. Genetic ID tests, in other words, require particles of the food to remain relatively intact so that PCR lab equipment can replicate genetic sequences. Heavily processed ingredients such as high-fructose corn syrup, maltodextrin and ascorbic acid have no genetic material remaining, thereby sweeping their origins under the rug.This is one reason who so many vitamins sold today are formulated with GMOs. This includes virtually ALL the popular multivitamin brands sold at grocery stores and pharmacies, by the way. • Nearly all “vegetarian” foods are GMO (loaded with yeast extract and soy). • Nearly all sodas and soft drinks are GMO (HFCS, aspartame). In other words, just about everything the consuming masses are eating is contaminated with GMOs. Maltodextrin is a powdery, starch derivative of corn. It is used everywhere in the nutritional supplements industry, as a “filler” for fruit powders and drink mixes, as a “sweetener” for low-sugar health foods, and as a flow agent for vitamin capsules. Unless it is certified as non-GMO, all maltodextrin should be assumed to come from GMO sources. The maltodextrin manufacturing supply chain isn’t even geared up to provide non-GMO maltodextrin, as the large-scale factories that produce the material run so much GM corn that there would be significant cross-contamination even if they tried to pull off a non-GMO run. The few companies that offer non-GMO starches and sweeteners are increasingly gaining attention across the industry. I’m aware of one company called Austrade, Inc. that offers a full line of non-GMO corn-based starches and sweeteners, including non-GMO maltodextrin. According to the company, they were the first producer to receive “Non-GMO Project Verified” approval for non-GMO maltodextrin. Non-GMO maltodextrin is also making its way into health products such as “Ultima Replenisher,” a healthy replacement for those junk sports drinks made with GMO corn syrup, salt and low-grade minerals. Ultima Replenisher is completely GMO-free, relying on a non-GMO maltodextrin from certified sources. It isn’t vitamin C, of course. Real vitamin C is a broad spectrum of synergistic compounds, never just an isolated, homogeneous molecule. But don’t tell that to doctors, scientists or journalists, because they’ve all bought into the “ascorbic acid is vitamin C” delusion. So nearly all the common “vitamin C” pills are nothing more than heavily refined ascorbic acid derived from GM corn. That’s why those pills don’t work, by the way. So when the mainstream media declares, “Vitamin C shows no benefit…” in clinical trials, what they are really saying is that heavily processed ascorbic acid isolated from genetically modified corn doesn’t improve your health, and that’s no surprise. Look on the labels of your cheap, low-grade vitamins and multivitamins… you’ll see “ascorbic acid” listed there, meaning you are eating GMOs. Throw those away. They’re crap. If you want real vitamin C, your best bet is to eat camu camu, which is the planet’s highest source of natural, full-spectrum, food-based vitamin C. (The full synergy of nutrients, not just isolated chemicals.) Click here to see high-grade, certified organic camu camu powder at the Natural News Store. 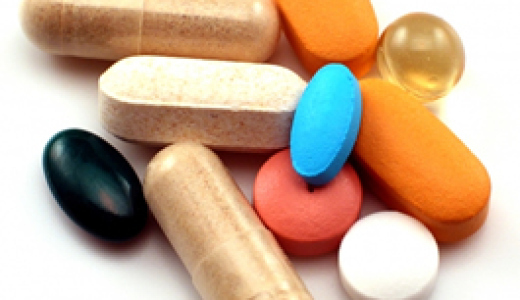 Children should be eating superfoods or food concentrates, not toxic vitamin pills. Remember, too, that the low-grade vitamin pills are manufactured by companies largely owned by the pharmaceutical industry. They have every incentive to make sure their vitamins actually cause health problems rather than prevent disease. This boosts their long-term profits as sick children become Big Pharma customers for life. When it comes to high quality food-based nutrients in a pill format, nobody beats MegaFood, the supplier Natural News has chosen as its supplement partner. Consumers looking for truly non-GMO sources of health-supporting minerals can check out MegaFood’s Balanced Minerals formulation. Those seeking thyroid support should take a look at MegaFood’s Thyroid Strength formulation. And for non-GMO multivitamins made from real food rather than isolated chemicals, MegaFood offers a full line of daily multivitamins for men and women. As companies like MegaFood blaze forward in achieving non-GMO certification, they are going to force everyone else in the industry to follow suit (or lose customers). That’s because consumers don’t want hidden GMOs in their health supplements, obviously. People take vitamins based on the belief that vitamins won’t poison them. Unfortunately, this is a false assumption given the dirty tricks played by the pharmaceutical industry in churning out harmful, synthetic vitamins loaded with toxic substances such as GMOs. That’s why I support the mandatory GMO labeling of vitamins and dietary supplements. It’s also why my own brand of superfoods and dietary supplements — Health Ranger Select — is 100% non-GMO. See, it’s not just about labeling GMOs in foods. GMOs need to be labeled (or ultimately, banned) in everything we eat, and that includes vitamins and dietary supplements. Most health-conscious consumers already know to avoid GMOs in foods, but they fail to avoid them when selecting vitamins and supplements. So they’re taking in quantities of GMO-derived materials in their health supplements, and that defeats the whole purpose of being “health conscious” in the first place. Until GMOs are labeled (or banned) on vitamins and supplements, you have to be vigilant in avoiding GMO-derived ingredients such as maltodextrin, sucrose, ascorbic acid, citric acid and others. Unless the product is certified non-GMO or comes from a company that is diligently working on the certification process, there is a better than 99% chance that they contain GMOs. By areyousure12 in Health, Uncategorized on December 5, 2013 .